When I heard about the Twin Peaks trail, I was a hundred percent certain that the trail includes hiking up and down two mountains. Well, I could never be so wrong. 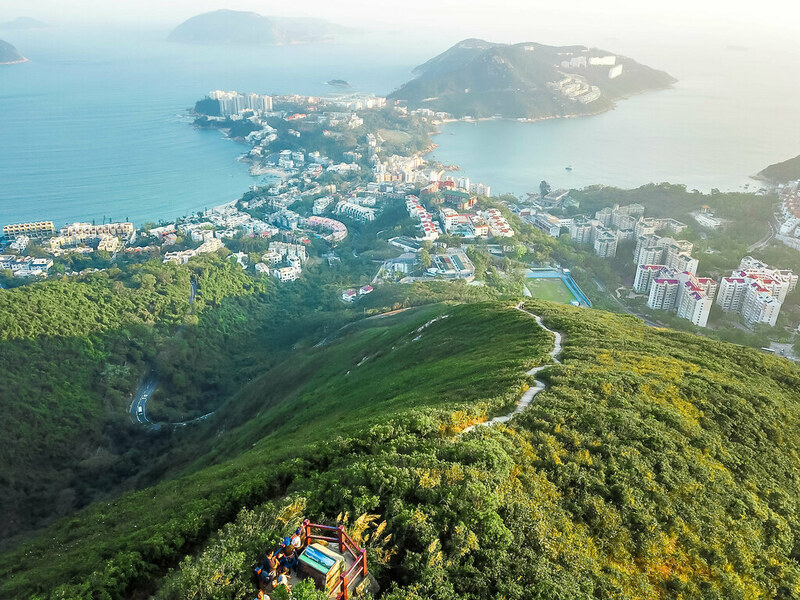 In order to arrive at the starting point of the Twin Peaks, you need to ascend Violet Hill before going down to Tsin Shui Wan Au. My friend and I started the hike around 1.30pm and managed to watch the sunset from the observation deck on one of the Twin Peaks. Following the GPS navigation once we alighted from the bus, we came across Wong Nai Chung Reservoir Park. There’s a public toilet here and you should use it before the long hike begins. 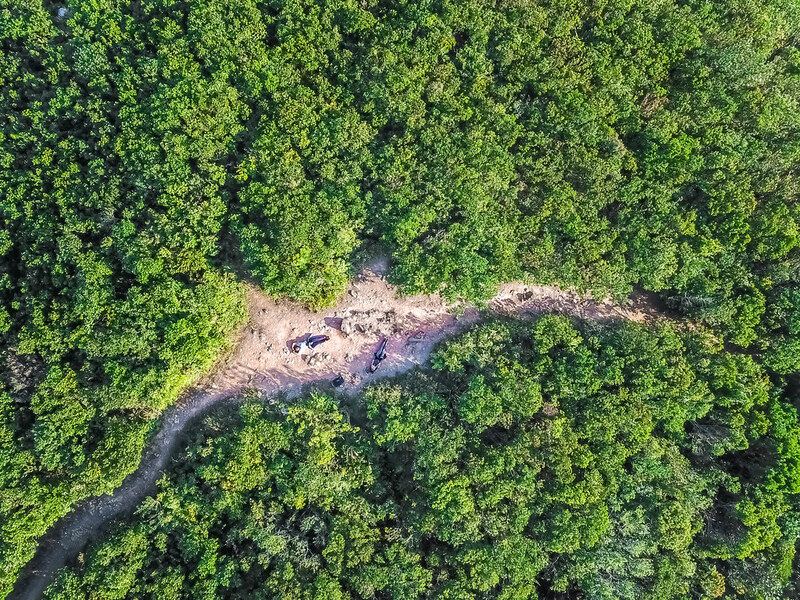 FYI: There is no place for you to take toilet breaks during the hike. Going further uphill for another 10 to 15 minutes from Wong Nai Chung Reservoir Park brings you to Parkview condominium. The entrance for the hike towards Violet Hill and Stanley is located on the right. You don’t have to worry about getting lost because most of the paths are concreted with clear signs. 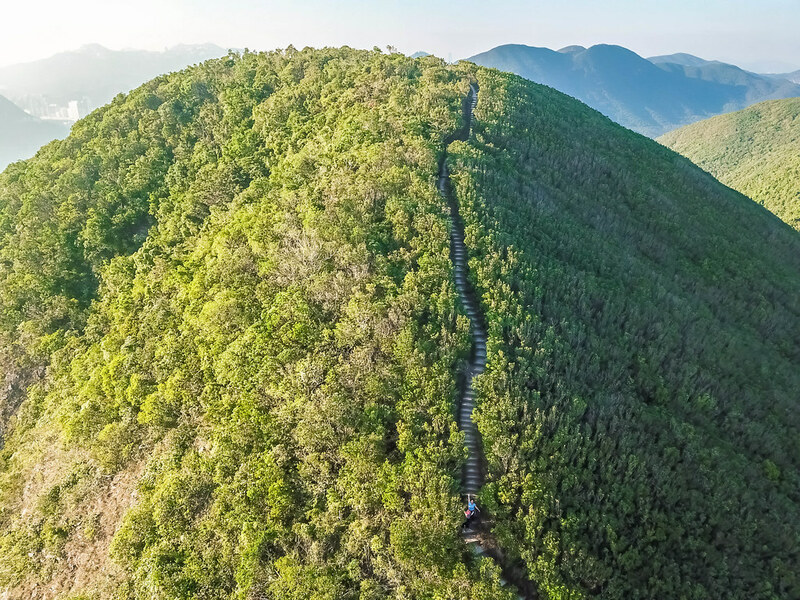 The path will lead you up to Violet Hill before descending to Tsin Shui Wan Au. 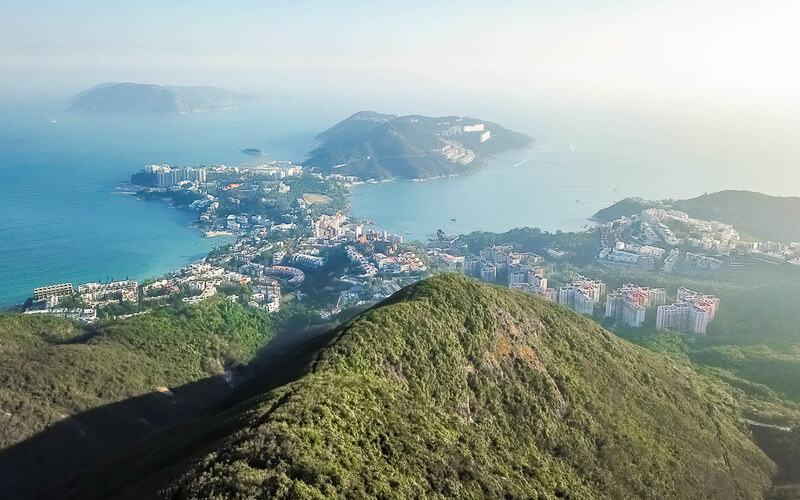 You can choose to follow three different trails here – Tai Tam Reservoir, Repulse Bay, or the Twin Peaks. The Twin Peaks trail is the toughest among the three, but the view will make your climb very worthwhile. I counted approximately 1,300 steps up and another 1,300 steps down. 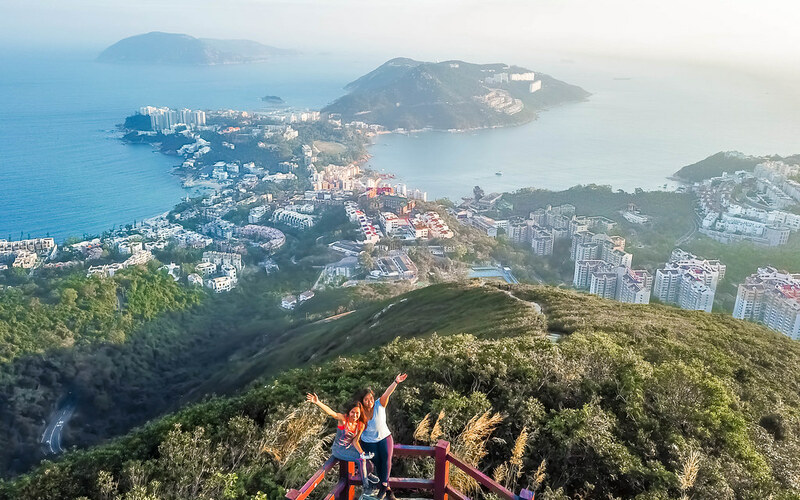 On the way down the second twin, there’s an observation deck where you can watch the sunset and enjoy a panoramic view of the surrounding islands. The Twin Peaks trail ends at Stanley Gap. You can either take the bus to Stanley and relax at the beach or take the bus back to Central Hong Kong. As compared to the Dragon’s Back trail that I’ve previously done, the Twin Peaks is really a challenge. Remember to keep yourselves hydrated and rest whenever you feel the need to. I’ll still be visiting Hong Kong frequently next year and I’m looking forward to conquering more hiking trails. Directions: You can take either bus 6 or bus 61 from the Exchange Square Terminus, Central, to Wong Nai Chung Gap, then walk up to the Parkview entrance. You’ll come an artificial lake (Wong Nai Chung Reservoir Park) before the entrance to Violet Hill appears on the right.